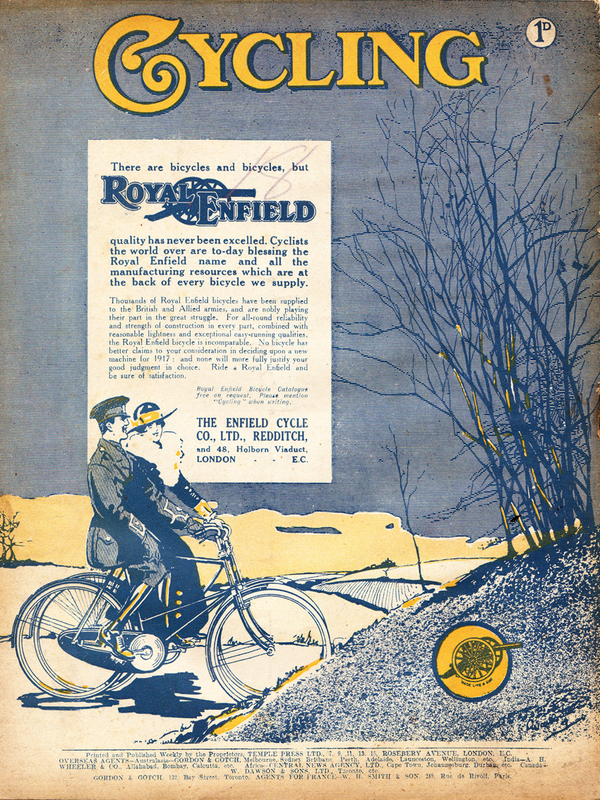 Since the turn of the century, bicycle manufacturers went to great lengths to reassure the public of the strength and durability of their cycle frames. With many cheap poorly-made models on the market, the public did not always understand why they should pay up to four times more for the best models. 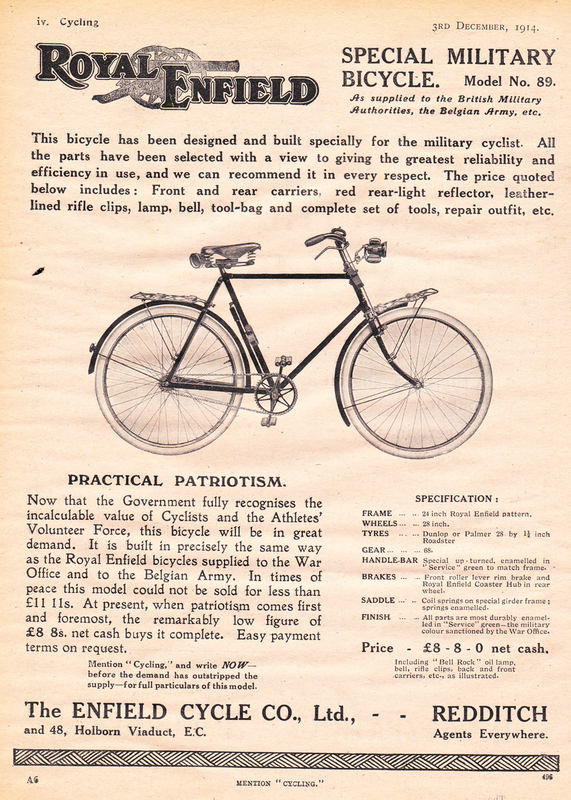 So the top manufacturers incorporated extra strengthening factors into their frame design to create an added ‘psychological’ strength to their bikes. The Premier Royal, Resilient Centaur, Iver Johnson Truss-Bridge and many variations of crossframe were examples popular at the time. The Royal Enfield Girder, in various models, was the company’s top-selling machine, and also the world’s top-selling ‘strengthened’ frame design apart from the crossframe. Royal Enfield offered two styles, the ‘Duplex’ – illustrated above – whose frame divided in two after the girder tube met the seat tube – and the ‘Standard’ – the machine featured here – with only one tube following on to the chainstays. The company claimed that the Duplex had even greater strength – to justify its extra price – although it’s debatable that it made much difference in practical terms. These days, both versions of the Royal Enfield Girder enjoy cult status, for much the same reasons as they did in their day: the quirky design stands out in a crowd and, like all the company’s products, it is a well-built sturdy machine that’s a pleasure to ride. 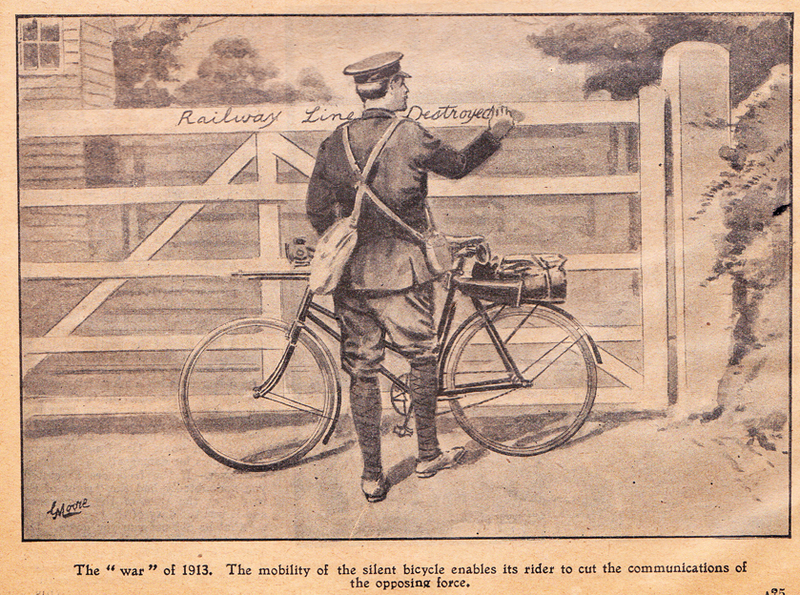 Girder Frame Roadsters were supplied as military bicycles to the War Office (used by the Belgian army). This model was also available in civilian trim when soldiers enlisted, with its price specially reduced.